Anna Helm is Assistant Teaching Professor of International Business at the George Washington University (GW) as well as the Faculty Director of GW’s Center for International Business Education & Research (GW-CIBER). She teaches courses on international marketing management, green business, the cultural environment of international business, and foreign market analysis. She has developed and taught several online courses and regularly offers courses with real client projects. 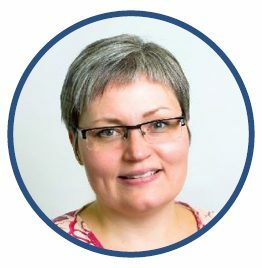 Since 2010, she has taught international consulting courses in Sweden focusing on marketing strategy in both the CleanTech and Healthcare industry. Originally from Sweden, Dr. Helm holds a MSc in International Business and Economics with German from Lunds Universitet, Sweden, as well as an MA in Germanic Studies from the University of Maryland. She received her PhD from Georgetown University in 2002. Prior to joining GW’s School of Business (GWSB) she was the Director of the Business, Culture and Languages Program at the University of Maryland, College Park. Professor Helm is pursuing research on cross-cultural differences in consumer perceptions of green products, sustainability innovation, and CleanTech marketing strategy. She is the Principal Investigator for a Teagle Foundation Grant titled “An Internationalized Liberal Arts Curriculum for Undergraduate Students,” with the University of Miami and Washington & Lee University. The goal of the grant is to deeply integrate liberal arts into the undergraduate business curriculum at GWSB and its partner institutions.